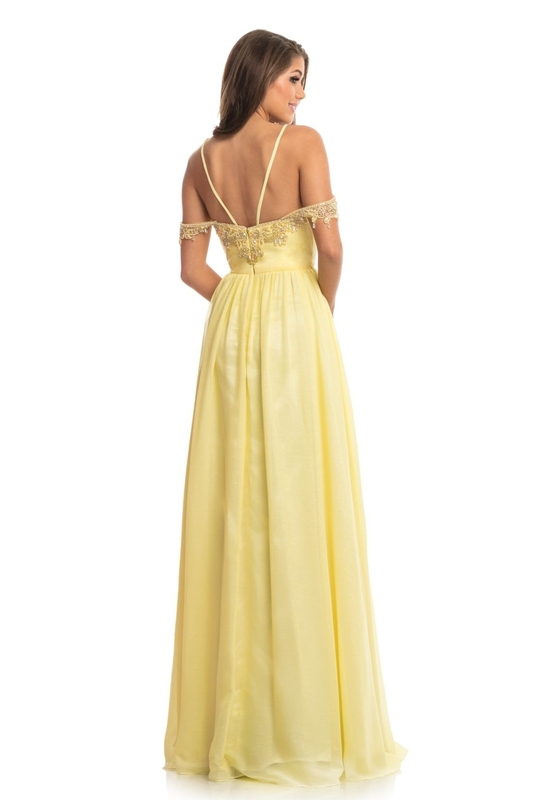 Be the belle of the ball in Johnathan Kayne style 9005. 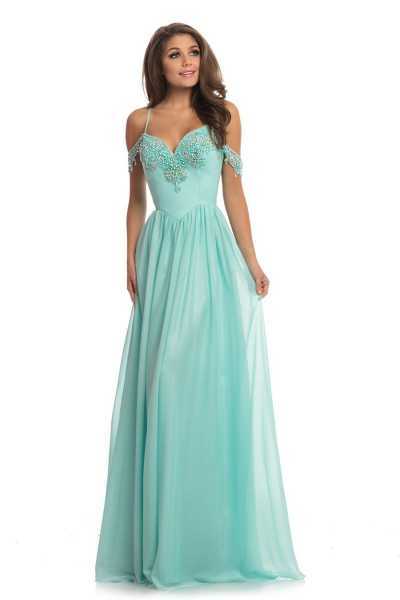 This dress has a dainty straps and sweetheart neckline that is beaded and embroidered and features off the shoulder fully beaded cap sleeves for some added elegance. The metallic chiffon skirt is free flowing making it easy to dance the night away!